Yesterday a group of environmental advocacy groups, foundations and other organizations released a report, Moving Cooler, amid much fanfare, seeking to have us believe that it is a serious study of GHG reduction options in the transportation sector. It is immensely disappointing. The world could use a dispassionate, objective and broad-based assessment of petroleum reduction options as well as their positive and negative consequences. This is not it. As one reads one can't help but feel that you are being hit with a sales pitch, or a legal brief from advocacy groups and those who would benefit financially from the derived policy options. The main point, amidst all the array of statistics, confirms the dogma of the already convinced that the only solution to greenhouse gases is major re-structuring of society. These notions, critically, were already on the front burner of these same groups long before the climate change issue came to prominence. “Progressive” foundations, new urbanists, planners and urban landowners long have advocated the re-assembly of urban living into high density transit-oriented bikeable/walkable communities. Even though their numbers as reported in the text don’t bear it out, the rhetoric is all focused towards that end and the pricing out of existence the automobile and all the evils it represents: suburban living and long trips. This is a report meant to be waved rather than read as the Congress goes about its fulminations in the coming months. It understates the prospect of gaining the full potential of greater energy efficiency from the vehicle fleet – the only way to justify the wholesale reorganization of society. In fact, if the vehicle/fuel assumptions had been as comparably optimistic as the land use assumptions, with a robust and honest assessment of fuel and vehicle technological development opportunities, one wonders whether this report would be worth doing at all. We have been here before. In the struggle to improve air quality, it turned out that the solution was not so much changing people’s behavior as it was technological – largely the improvement of fuel and vehicle technology. In the 1970s we were told we could not have cleaner air and automobiles; yet in fact that’s exactly what happened, without having to heed a sermon about our need to repent and change our suburban, car-driving ways. Some people just have a penchant for telling others how to live. Maybe the saddest part of it all, the authors appear not to take global warming or energy security very seriously at all. Rather these public concerns are just a convenient hook, the cause du jour, on which to hang their favorite solutions. If global warming matters – and it does; if energy security matters – and it does; then early action is clearly called for, particularly given the cumulative nature of GHG gases. But somehow the things easily done and carrying with them little in the way of disruption or public costs – carpooling, telecommuting, dispersed work – are largely written off. Such immediate, low-cost actions as highway operations strategies including better traffic signalization, improved traveler information and accident response systems receive little emphasis. Travel times don’t get counted – so shifting from a 15 minute car trip to an hour on transit or walking has no penalty. Transit subsidies don’t get counted – so doubling subsidies to increase ridership has only benefits. Every possible pricing strategy is invoked – congestion pricing, cordon pricing, on-street parking fees, extreme fuel prices – in order to get people out of cars, and then the loss of their cars is counted as a benefit. At the same time the benefits and the costs involved are so corrupted to be meaningless. It will take weeks for analysts to tease out what really was done in the way of assumptions to create winners and losers. And there is no effort to tally all the costs exacted on the average household, or the typical business or even governments for that matter. The costs would add up to a permanent recession. I am sure the millions affected by these policies, particularly the middle and working class people who can now just barely afford a car, who would be priced out of the system by these policies, will say thank you for this “benefit”. As we work our way through the recession, workers will be willing to travel farther and farther to find the right job – or any job. With continuing increased specialization in our society larger and larger market sheds for jobs and for workers, quality transportation will be critical to our national productivity. This is the work that transportation does and it is totally dismissed by this report. It can not be addressed adequately by rail or transit even with a complete radical reorganization of work and society. In order to further bolster their ineffective case the proponents use a tool called “bundles” in which packages of actions are assembled for their “synergistic” qualities and either given a boost or cut based on the assertion that some things work well together. How this was done is not explained. So land use plans, which will take 30 years to come to fruition, are coupled with carbon pricing policies in a sort of horse and rabbit stew, that help make density solutions seem effective. Those who see the solution of so many of our present ills by cramming people into ever higher densities miss the point. Residential density is one of the most fundamental choices households make. Changing residential densities to make transit work better is the smallest tail wagging the biggest dog I can think of. It puts planning dogma ahead of the most basic human needs and rights. It is clear that most people, excepting a small but often very loud minority, opt for lower density living when income permits. As the society changes and choice patterns evolve, the marketplace must be ready to respond with development that is both responsive to household choices and to the demands of environmental needs. Any public policies that inhibit a market trend toward higher densities must be addressed. But the market place must be the final arbiter in a free society. People do not live “efficiently” in order to optimize some imposed societal goal, certainly not commuting. The serious work that needs to be done in this area still awaits an independent and credible group to undertake this work. It can't come soon enough. Submitted by pusatro30 on Fri, 05/17/2013 - 23:10. Nice post, good to know that this Library topic is being covered also in this web site. Submitted by Fabienne Raphoz on Tue, 10/02/2012 - 02:13. Submitted by hayasidamegumi. on Tue, 12/04/2012 - 04:15. Submitted by downtoearthguy on Tue, 10/06/2009 - 09:39. Alan Pisarski is a hack. If anyone would say that the state of our transportation system, and everything associated with it, is in anything but disrepair, he or she can thank Alan Pisarski for his 40 years of sound policy advice to the industry. The more vital it is to change how we do business, and the closer we get to it, the more people with vested interests dig in their heels. This is just another unfortunate an unhelpful example. Do us all a favor, Alan, and retire and move to Florida. Submitted by jamuboro on Fri, 05/03/2013 - 01:23. Submitted by PhilBest on Mon, 08/17/2009 - 00:09. Look, every half truthful study on this issue comes up with the following realities. The true cost of running public transport is so high that if fares were “user pays”, nobody would use it. The true cost can be calculated simply by dividing total running costs of public transport (just like a business would have to; not omitting the cost of financing infrastructure) by total fare revenue: then just multiply every fare by that factor. If it is cheaper for a given traveller to run a given car rather than pay true-cost reflecting public transport fares, then that car uses less resources than public transport; not even counting the energy used to get to and from bus stops. The cost benefit ratio of getting a shift like 10% of car users, to public transport, is exponentially worse than the cost benefit ratio of simply providing new roads and lanes; if there is even a benefit at all. Because most travel is done only at certain times of day, huge “investments” in rolling stock would be necessary to cope with such a shift. Roughly ten times as many people use cars as what use public transport. This means that a 10% decline in car use, shifting to public transport, requires nearly a 100% increase in public transport subsidies. It is a myth that increased patronage will bring efficiencies sufficient to negate this need, as long as public transport is not having to compete in a free market. If we attempted to run a public transport based, car-free transport system, the cost would be greater than our entire current GDP and/or the lost flexibilities of individual motor vehicles would lead to massive economic contraction. Look at the former USSR. Do you think that their public transport was more efficient than our car use? Did you know that they were far worse wreckers of the environment on every measure, and used more resources per unit value of GDP, than capitalist countries? Car-free societies absent totalitarian planning, were (Victorian England) and are (Slumdog Millionaire) mixed-use land use societies with people and animals living above and around factories and offices. We will only reach the stated aim of resource conservation and emmissions reductions to the extent we return to such a society. Long distances are the main problem, not modes of transport. Limiting sprawl does not achieve the desired result because of the effect on land prices. Alain Bertaud’s work on urban density profiles show that average commute lengths have increased in cities like Portland precisely because of this effect. The cost of land closer to the urban center becomes prohibitive, and most of the infill development takes place closer to the more affordable fringes. Seriously, take a look at his graphs. Cities that have been allowed to develop closer to Lassez-Faire principles actually end up with lots of mixed use land use and multiple nodes and much lower average commute distances, and urban density profiles that slope evenly from the highest at the centre, to the lowest at the fringes. The low density at the fringes means that the commuting done by these people is of minimal effect, while the affordability of land is retained over the whole urban area, meaning that many people who could not have afforded to live closer to work under the controlled scenario, can do so under the “free” one. Trains initially served the use of getting wealthy people over longer distances faster and in more comfort than horse drawn carriage. Trains have had their day long since. But we are doing ourselves serious economic and environmental harm with our mistaken assumptions about all public transport. People run their own cars by choice. The taxes they pay for petrol alone, covers the cost of roads and externalities. It is public transport that does not pay its way even for running costs let alone externalities. No-one would use public transport by choice if they had to pay the true cost. The worst thing here is that people are being lied to about what their hard-earned rates and tax money being spent on public transport, actually achieves. It has never achieved cost-benefit justifiable reductions in road congestion and it has never achieved real reductions in resource use or emissions, let alone cost-benefit-justifiable reductions. We would have been better off in every way to have never spent a cent on public transport subsidies, and simply built more roads and lanes and had lower congestion. If there were no public transport subsidies, and no government interference in transport, entrepreneurs would identify opportunities to run appropriate vehicles on appropriate routes at appropriate times of day, and make a profit on it. If you understand economics, you will understand that if people buy product A because it is cheaper than product B, it is simply because the making of product A is a more efficient use of scarce resources than the making of product B. It is not necessary to attempt to trace the whole process from one end to the other: (refer to the essay “I, Pencil” by Leonard Read: to see how complicated it is to calculate all the inputs into making a pencil) the price is the quick answer. If public transport fares absent subsidies would have to be more than people would pay, then it is not an efficient user of scarce resources. Actually, you do not have to look very far into the way Public Transport is run, to get a gut confirmation of this. It is NOT a question of running 30 people from A to B by bus, compared with 30 people running their cars from A to B, and it never has been. The 30 people get from 30 different “A”’s to 30 different “B’s”. To get the bus to pick them all up and drop them all off, would take so long that nobody would use it. The only people that use the bus today, are the small minority who it really suits. The bus has to start somewhere empty and finish somewhere empty. Its average loading for the 1 trip is more like 15 people. Then it has to go back to the start mostly empty; average loading drops to below 10. That is just for the peak times of the day, which are the only times when running these services might make any sense at all. But then we have the lunacy of running that same bus around all day, with average loadings not exceeding 3 people. And I said “buses”, the same thing applies, only worse, to trains. Why don’t ratepayers and taxpayers realise this? We are being fleeced for no good reason. The environment is not being saved and there are stuff all less cars on the road; if public transport use increases 10% there are only 1% less people on the road. It is exponentially cheaper to build new roads for the 10% odd people who do not yet use cars for their travel, than it would be to provide buses and trains for the 90% of people who do not use public transport: in fact the latter has been calculated to cost more than our entire GDP. As for the social objectives of running buses and trains for poor people to use during the day, this is so expensive that we could provide hired stretch-limos for them at a lower cost, to pick them up at their door and drop them off where they want to go. Public transport in its current subsidised, “social objectives” form, is actually doing more harm than good. It is a pretty good economic rule of thumb that if it needs subsidising at all, it is not an efficient use of resources. Wendell Cox, recently, in "Portland: A Model For National Policy? ", points out that carbon credits for every tonne of CO2 reductions, is expected to trade for amounts of $10 to $30; but every tonne of reduced CO2 emissions gained through public transport substituting for private vehicle use, is costing in the region of several thousand dollars. You can argue Mr Cox's figures till you are blue in the face, you simply cannot overcome that sort of order of magnitude in economic viability analyses. We can make huge gains in average vehicle efficiency yet; there are still people who buy V8’s by choice. Price rises will accompany resource depletion, and average vehicle efficiency will rise. Even with today’s technology, we could gain 70 or 80%. But of course there will be further technological advances. Heck, Greenies themselves talk about this out of one side of their mouths, when it comes to energy SOURCES, but they talk out the other side when it comes to energy CONSUMPTION by private vehicles using roads. I believe that new technology, electric cars and so on, will be very quickly supplied at affordable prices through manufacture in Chindia; at the moment they are made in small quantities in the USA or Europe and are just unaffordable. Think of the first one-piece carbon fibre bicycle frames and what they cost (Kestrel; $10,000?). Internet-based car pooling/ride sharing alone, is an answer that public transport is not. ANY full car is already more efficient than even the fullest bus or train, and any car with two people in it is already more efficient than the current public transport average. I think if the authorities want to get serious about this issue, taxi licensing regulations should be abolished to allow anyone to carry a passenger for a fee. That would incentivise participation by all those drivers with spare seats. Then we must return to more flexible uses of land. It makes no sense to force lengthy commutes through rigid zoning that was based on a previously popular ideology; society has taken one step forwards and two backwards. Along with dispersion of sources of jobs, we need interconnectedness to minimise trip distances and times by road. It is an economic impossibility to provide this interconnectedness by public transport. The model being pursued by our planning classes now is just so wrong-headed that one suspects that they are driven by ideologies other than genuine concern for humanity and its environment. Their model will only work under conditions of such population density, that totalitarian rule would be necessary to achieve it. Alain Bertaud’s study on Atlanta concluded that Atlanta would need to abandon two thirds of its existing housing and retract back into the remaining one third, if public transport was to be viable. But of course the reconstruction that would be necessary, would consume so much resources that it would be doubtful whether recouping them would be possible through the alleged efficiencies of the higher density. William Eager’s study in my above list, shows that increased population densities result in more road congestion, not less, for the simple reason that greater majority of the increased population moving into an area still opt for car use. The exceptions may be downtown Hong Kong and Manhattan. Such high densities bring their own environmental and quality of life problems. It is far from certain that the resource efficiency and emissions of high density living are superior to urban sprawl. Urban sprawl is partly the result of choice and partly the result of zoning fashions of the past. Free market choice is actually a very good allocater of resources. I believe that those zoning fashions of the past have given us the longer commute distances that are our main problem today: under a freer market in land use, we might have had more urban sprawl but we would also have lower average travel distances. We don’t have a “school zone” that we all pack our kids off to 30 km’s away by train; I fail to see why we have to have “workplace zones”, if we really do have such a “crisis” of resources and emissions to confront. Isn’t it funny how the political classes favoured “solutions” to any problem invariably involve reductions in human freedom, even when an increase in human freedom would be a better solution, knowledge of which needs to be suppressed accordingly? The reality is that even if peak oil is real and AGW is real, public transport is no fix. The same factors that will make free use of private vehicles less feasible will also apply to public transport. If we really do have to confront such a crisis, we will be forced to resort to freely mixed uses of land; it will simply be impossible to continue an urban planning model that implies lengthy commutes and focuses myopically on the mode of travel. It is absurd to imply that massive investments in electric rail or any kind of rail or even in buses, is responsible planning for an anticipated future crisis of resources or climate. The inner city jobs to which people commute today, simply will not exist in the brave new, resource-scarce world and the greatly shrunken world economy. For a start, the government's revenue simply will not be sufficient to pay the salaries of armies of bureaucrats; neither will most of the private sector office jobs be viable. The transport necessary for the support of modern living, particularly for the supply of food and necessities, will no longer exist; neither will the supplies of affordable electricity. Apart from the fact that public transport is barely any more efficient than private cars, "travel and commuting" absorbs only around 11% of total energy consumed by households: 29% is from goods and services consumed, 28% from food, 20% from household uses (mainly electricity), 12% from construction and renovations. (Referring to the study "Consuming Australia", by "the Centre for Integrated Sustainability Analysis" at Sydney University). In this brave new world of depleted resources, what makes sense? Living in a wholly separate house with its own plot of surrounding land, where you can burn biomass to heat your home, cook on a barbecue, hang washing on a line, grow your own vegetables and fruit trees, collect rainwater, compost your own waste and recycle "grey water", keep fowls or even a sheep or two, and have solar panels all over your roof and a wind turbine in the back yard? Or living in Green utopians high density inner city blocks of flats? This is a such a no-brainer, that these Green utopians very motives and veracity are very much in question. But for Mr Pisarski, I have nothing but respect. Submitted by dlovaas on Thu, 07/30/2009 - 15:52. For the real scoop, go to http://switchboard.nrdc.org/blogs/dlovaas/moving_cooler_solid_research_r.... And of course take a look at the book, and judge for yourself. Submitted by Todd Litman on Thu, 07/30/2009 - 13:04. Pisarski’s arguments represent the old transportation planning paradigm, which assumes that because mobility provides benefits, any effort to reduce mobility harms consumers and the economy, and that virtually everybody wants to live an automobile-dependent, suburban lifestyle. A new transportation paradigm assumes that mobility is just one factor in achieving accessibility, that too much mobility can be as harmful as too little, and that demographic and economic trends are increasing the value of alternative modes and multi-modal communities. Pisarski made similar arguments in his January 2009 ITE Journal article 'The Nexus of Energy, Environment and the Economy: A Win, Win, Win Opportunity' (http://www.ite.org/mega/JB09AA30.pdf), which I responded to in a letter published in June, 'Response to Alan Pisarski’s article ‘The Nexus of Energy, Environment and the Economy: A Win, Win, Win Opportunity’' (http://www.vtpi.org/ITE_letter_may2009.pdf). These issues are discussed in more detail in my recent report, Are Vehicle Travel Reduction Targets Justified? (http://www.vtpi.org/vmt_red.pdf). I can certainly appreciate the automobile travel benefits that inappropriate vehicle travel reduction policies can be harmful. For example, it would be inefficient to arbitrarily forbid every third automobile trip or to allow traffic congestion to increase without providing alternatives. Most mobility management strategies evaluated in Moving Cooler reflect the principles of consumer sovereignty and economic efficiency: they improve transportation options (walking, cycling, public transit, carsharing, etc. ); more efficiently price roads, parking and insurance; and create more accessible, multimodal communities. 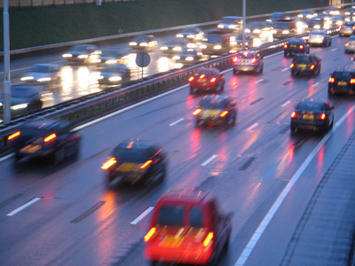 It is wrong to claim that these reforms would eliminate automobile travel or suburban living. Some of Pisarski’s criticism is simply wrong. For example, he claims that Moving Cooler ignores carpooling, telecommuting and improved roadway operations, although these are given as much consideration as other strategies, and are supported by other strategies (for example, more efficient road and parking pricing give people more incentive to rideshare and telecommute). Like most critics, he ignores the significant co-benefits provided by most VMT reduction strategies, such as congestion reduction, road and parking facility cost savings, consumer savings, accident reductions, improved mobility for non-drivers, and improved public fitness and health. Let me offer an economist’s perspective of this issue. Transportation economists recognize that the demand curve for mobility has a long tail: if the price (user money and time costs) declines consumers will find reasons to continually increase their automobile travel, although an increasing portion of this travel has little net user benefit (consumer surplus), while the external costs of this driving (congestion, road and parking facility costs not paid by users, uncompensated crash risk and damages, reduced mobility options for non-drivers, energy externalities, environmental damages) continues. As a result, with current North American transportation policies, intended to minimize the price of driving, a significant portion of vehicle travel probably has negative net value: benefits are less than total costs. Planning and pricing reforms, which tests consumers’ willingness-to-pay for vehicle travel, such as comprehensive road user fees, parking fees, distance-based insurance, and higher fuel prices, reduce lower value trips while allowing higher value trips to continue. In a more efficient transportation system consumers would likely choose to drive less, rely more on alternative modes, choose more accessible places to live and work, and be significantly better off overall as a result. This is described in detail the reports 'Are Vehicle Travel Reduction Targets Justified?' (http://www.vtpi.org/vmt_red.pdf) and Socially Optimal Transport Prices and Markets (http://www.vtpi.org/sotpm.pdf). Pisarski claims that increased automobile travel is critical to improve national productivity, but the evidence suggests otherwise. While a certain amount of mobility is necessary for economic development, research suggests that excessive automobile dependency is economically harmful because it increases total transportation costs, particularly petroleum import costs, and reduces agglomeration efficiencies. Increasing transportation system efficiency by improving transport options and more efficient pricing tends to increase productivity and economic development overall. Pisarski also claims that, "that most people, excepting a small but often very loud minority, opt for lower density living," implying that smart growth policies harm consumers. Yet, housing market studies indicate that an increasing portion of households prefer living in more accessible, multi-modal neighborhoods (http://www.smartgrowth.umd.edu/pdf/Research_Dec07.pdf), and this shift is likely to increase due to a combination of aging population, rising future fuel prices and increasing health and environmental concerns. Although demand for suburban living will not disappear, it is expected to grow much slower than demand for more compact housing in walkable and transit-oriented communities. Advocates of continued sprawl and automobile dependency appear to be expressing their own personal preferences rather than objective research. Contrary to what Pisarski claims, Moving Cooler is exactly the type of analysis we need to help identify the best emission reduction strategies. Submitted by Rick Harrison on Thu, 07/30/2009 - 07:43. Weather: Yes it's true, every city in the USA has great weather, so of course we can all walk year round - exposed to the elements. No city gets too cold to slip on ice, nor does any city get so hot that we sweat. Thankfully rain never reaches pedestrians and bikers. Ain't going to rain on the Smart Growth parade! Health: Take the car away from an elderly person, and that is the single signal that their freedom, and life as they knew it is pretty much over. Of course, nobody gets injured and everyone can walk or bike great distances. Knee injuries, Sciatic nerve problems will be a thing of the past in these walkable cities. What's next? Soylent Green? Safety: One comment - place vehicles and pedestrians in close proximity and the law of physics take over - if you are one of those unfortunate people who is involved with a vehicle-person conflict chances are your life is going to change drastically for the worse. Low density does not guarantee safety either especially with the conventional subdividing of lots where little attention is given to pedestrians, but there are newer more safe patterns emerging. Views and Space: Space - that's a 5 to 10 minute walk down the street - what wrong with that (draw your own conculsions). Local Conveniences: Here is where the suburbs often fail - not enough density to support walkable conveniences everywhere. A store opening where there is little exposure or not eneough population better have some unique goods that people will make an effort to visit and purchase goods. There are many other reasons that shops don't sprout up in the suburbs, much of it is bad planning, some is just common sense. This is an area where there can be better strides to functionality. Freedom: Do planners have the right to limit our freedom of choice? Can they stop suburban growth - no. Can they force change through placing new limitations - you bet! Submitted by marlena21 on Tue, 11/17/2009 - 07:34. The Moving Cooler report was released only yesterday. I see Pisarski is the world's fastest speed reader, able to cialis debunk this apparently complex report in a few hours, since the downloadable version has only been available for less than 24 hours. "But the market place must be the final arbiter in a free society."